Most of us live in an area that can be hit by some kind of natural disaster be it an earthquake, volcanic eruption or flood etc. Being prepared could go a real long way to survival or even making life easer on you and your family in this sort of situation. You never know when an occurrence in your area will cause you to make a quick evacuation from your home. Having an easy accessible "bug out bag", more commonly know as a survival kit or emergency kit, containing important documents and supplies can be very beneficial. * A quality fixed blade knife. 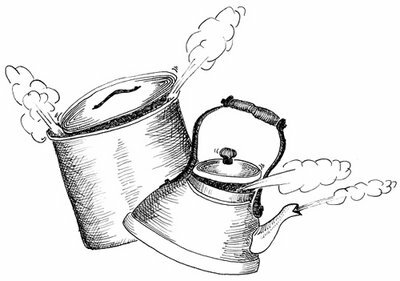 * Metal water container (appropriate also for cooking/boiling water). * A fire starter (BIC lighter is the most convenient firestarter). * A water filtration device is the fourth essential item for your bugout bag, but the metal water container could suffice to help you obtain potable water without water treatment. In a survival situation water quickly becomes the most precious commodity. 1 Liter per day per person is really the bare minimum. 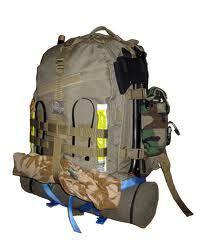 So your 3 day Survival Bag should have at least 3 liters of water per person. 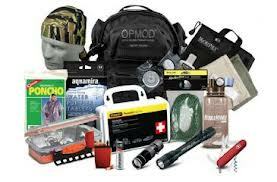 To expand your capability or survive longer than a couple of days you will need a water purification system. 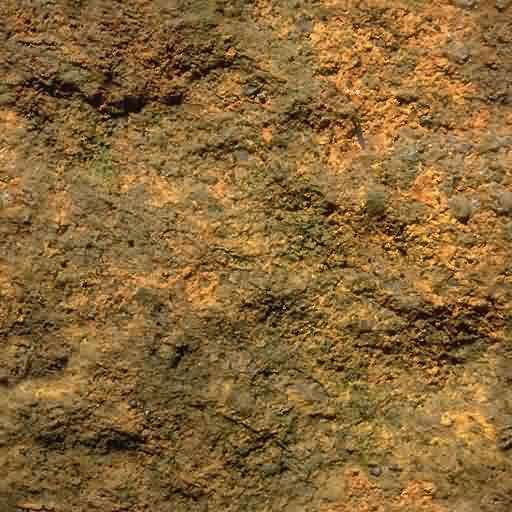 This can be as simple as boiling water and iodine tablets, or a serious water filter. 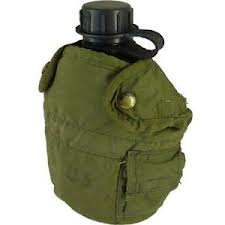 - You can use a Collapsible Water Bottle for extra storage. - Make water collection easier with a Backpacking Bucket. - Use Coffee Filters to extend the life of your water filtration system. Canned food is too heavy for the amount of calories you get. You’re better off getting freeze-dried food and rehydrating it with water you find. 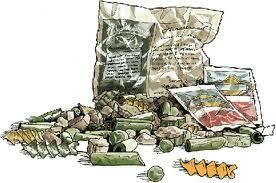 For a 3 Day Survival Bag Backpack Meals and Energy Bars can be sufficient. Back pack meals are freeze dried meals that you just add boiling water to. They are light weight and last a long time. Obviously you will need a longer term food solution in any type of wide area catastrophe, but for your basic Survival Bag backpack meals are a good set up. * A small pot/large cup to boil water in for both drinking and freeze dried meals. * A small backpacking stove and fuel. 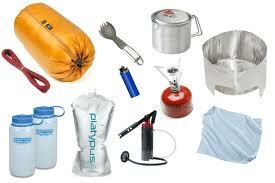 Your Survival Bag clothes should be similar to what you would pack for a weekend backpacking trip. * Warm socks x 2. * Spare warm pants, shirt, thermal top. 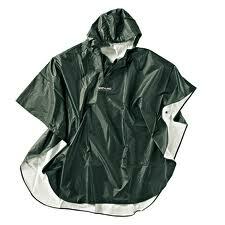 * Rain poncho or waterproof coat. * Matches or gas lighters. * Strips of car tire to start fire. * Small saw for firewood. * At least 2 torches spare batteries for each. * Small Note Pad / Pencil. - Some type of Bedroll, preferably a good sleeping bag. 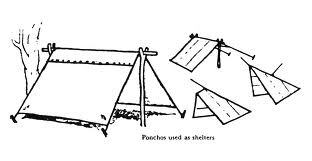 Survival blankets are light and take up no room. Medical care and training is paramount for any prepper. 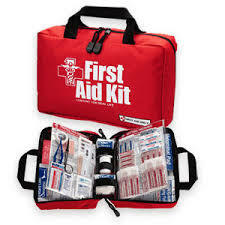 You can buy First Aid Kits ready made. If you are making your own, check the list on the first aid page for items recommended by St. John as the minimum required for families. Don’t pack a whole bottle of aspirin or a whole bottle of allergy medication. It could take a long time to get through all that. Instead, take out enough pills to last a week and put them in mini ziplock bags. * Hand Sanitizer - Soap. * Other Personal Hygiene Necessities. * Wire for binding and animal traps. * Colapsable fishing rod or hand line, hooks, sinkers, lures. If you have a whistle, use a one-two-three, pause, one-two-three pattern. This is more recognizable to the human ear. Mirrors are also important. Nothing in nature can be mistaken for a signal mirror. Same goes for brightly colored construction tape.